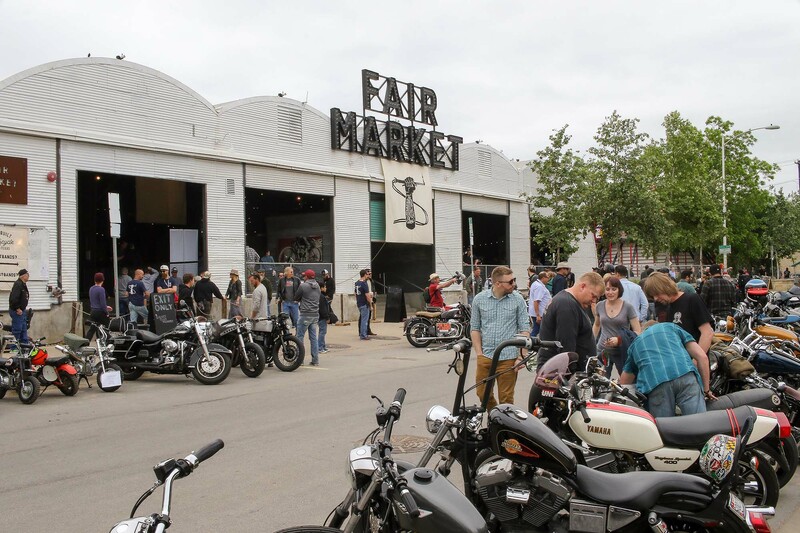 Located on 5th Street in downtown Austin, the Fair Market is a nondescript, 16,000 foot event center. 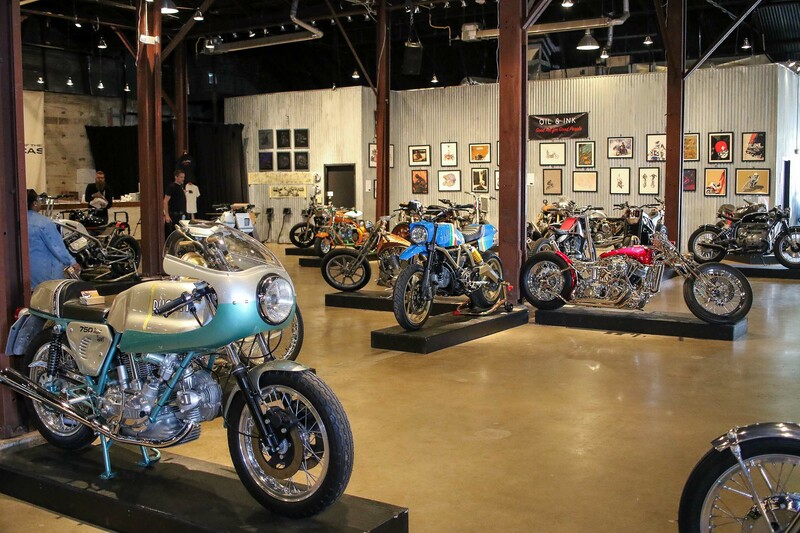 But once a year, as it has for the last four years, the Fair Market is transformed into the home of the Handbuilt Motorcycle Show. 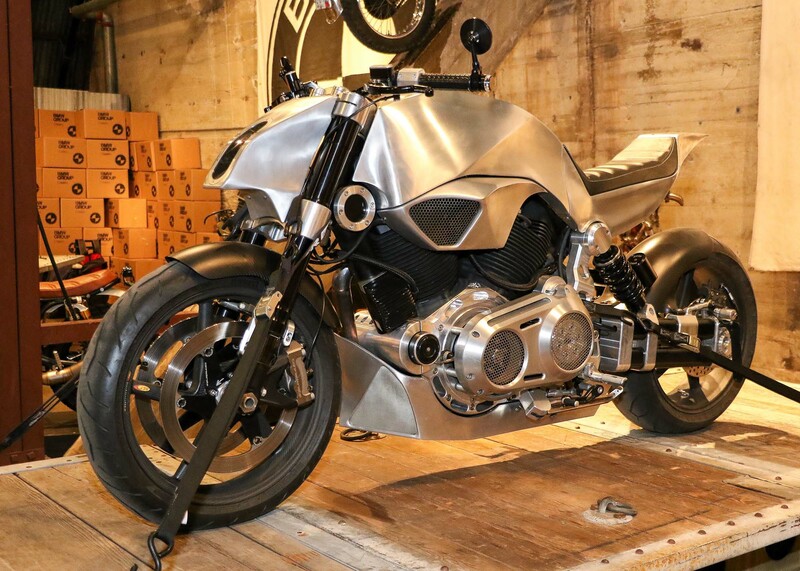 This magical metamorphosis turns a simple, industrial looking building into a playground for motorcyclists and motorcycles of all varieties. 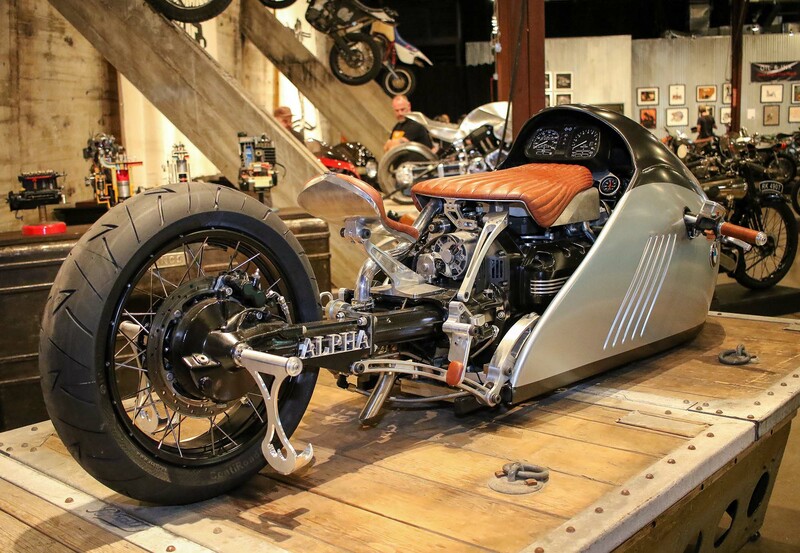 Local builder, Revival Cycles, started the Handbuilt back in 2014. 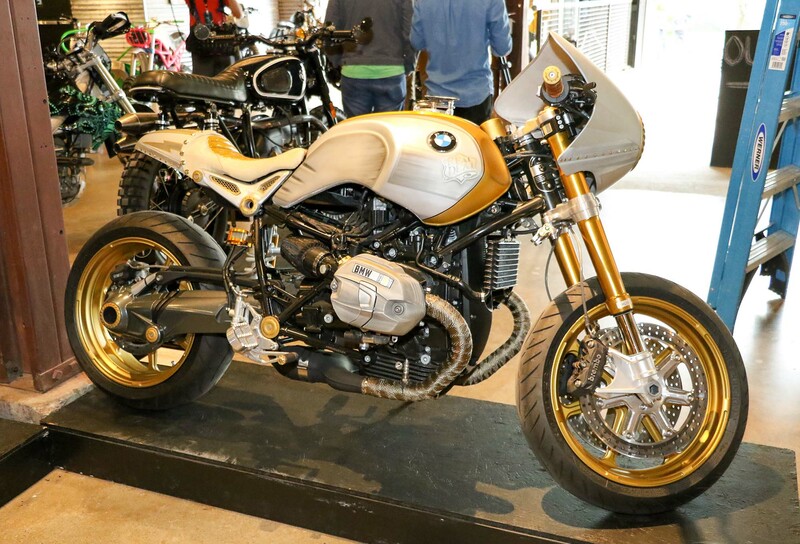 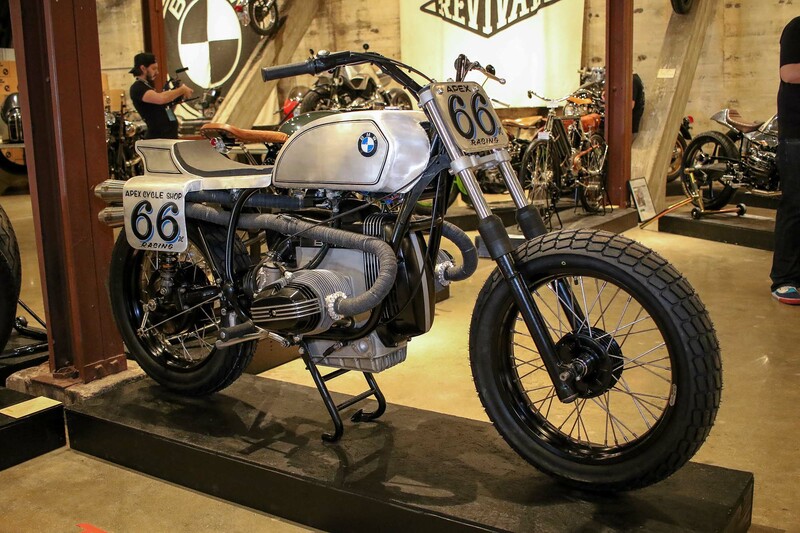 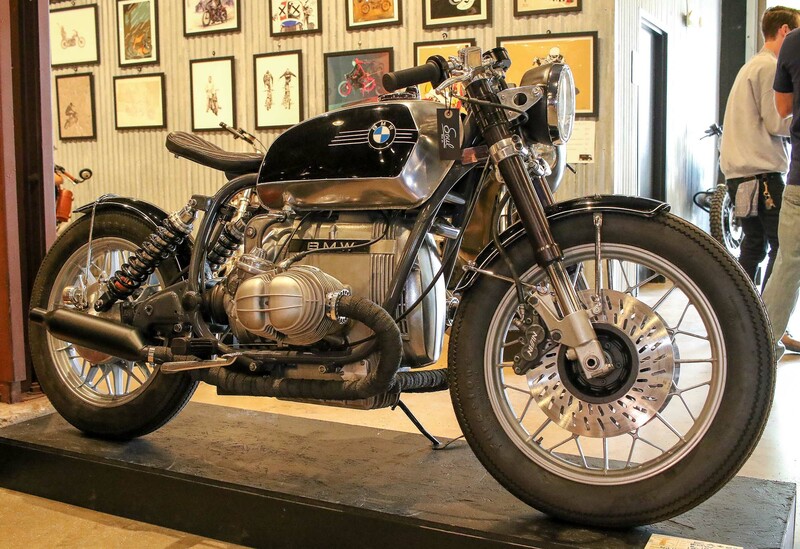 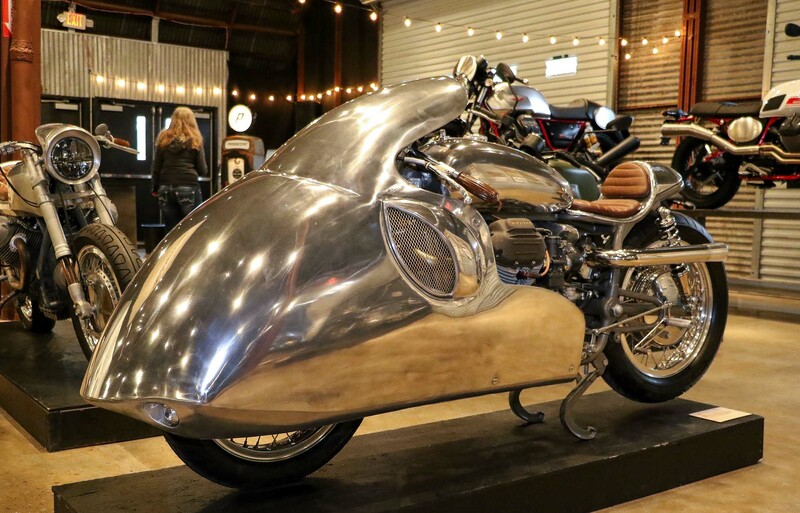 Alan Stulberg and Stefan Hertel are the co-founders of the show, and they have grown this event into one of the premier custom motorcycle shows in the United States. 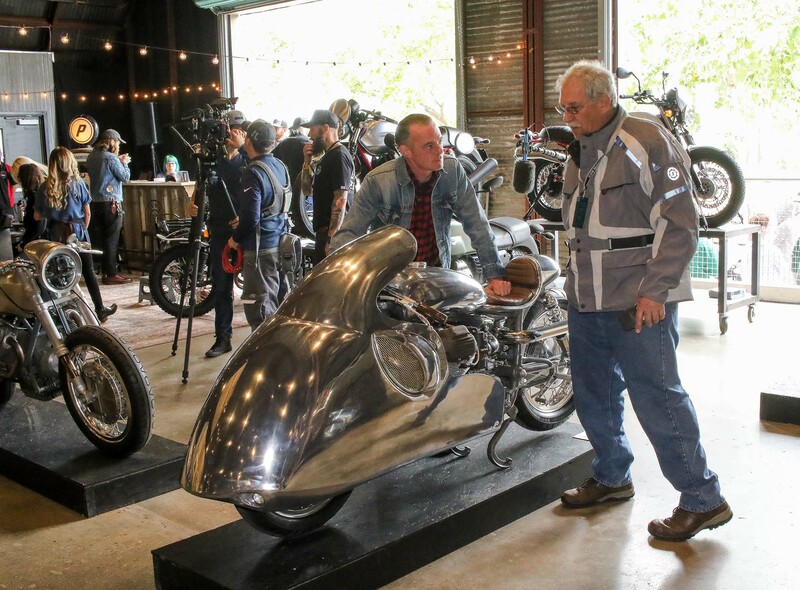 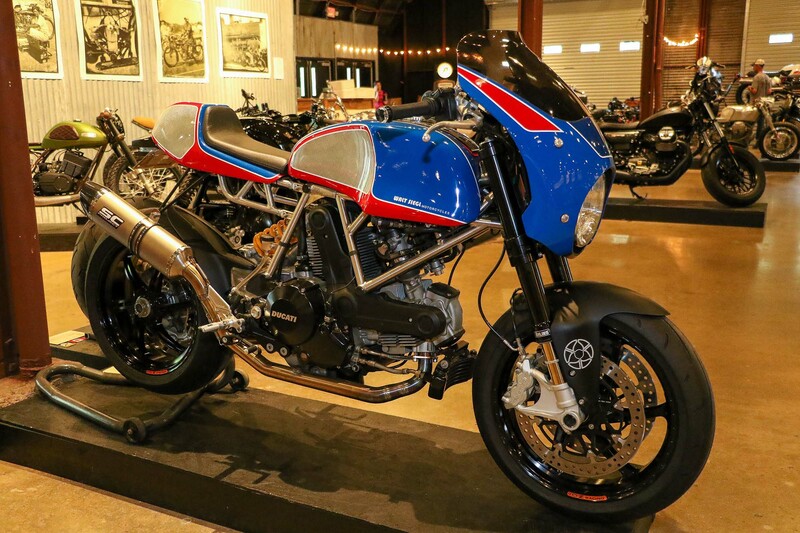 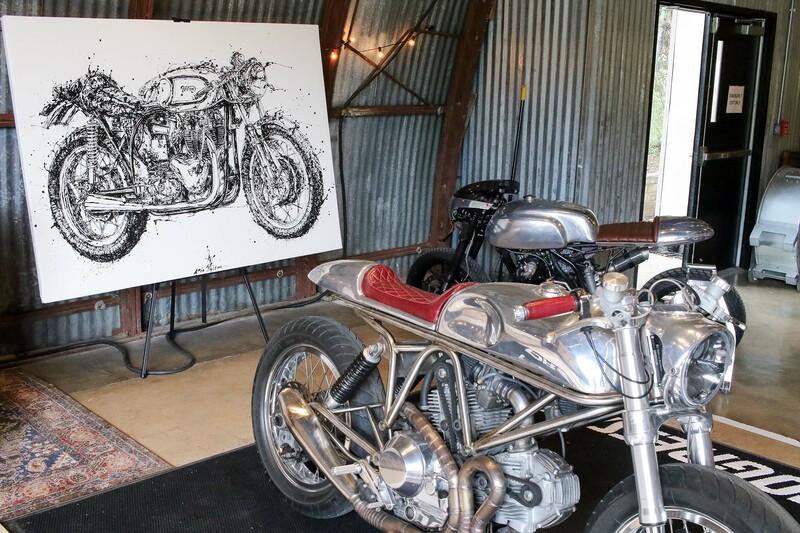 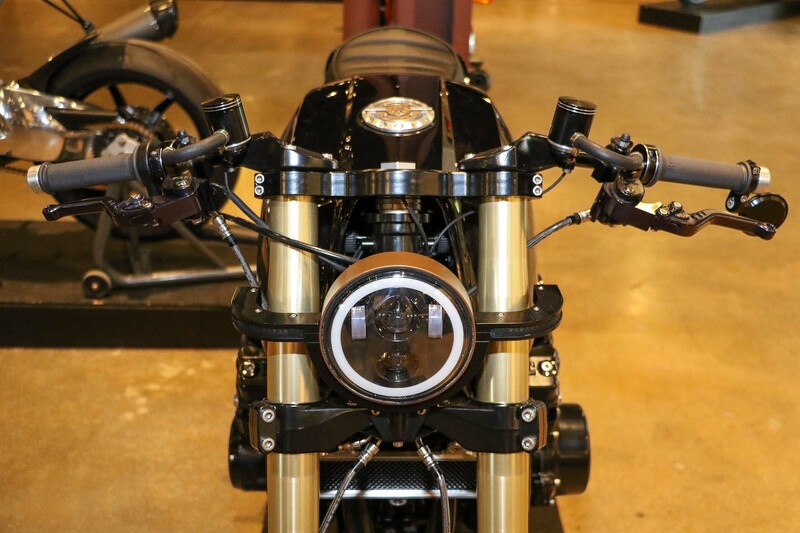 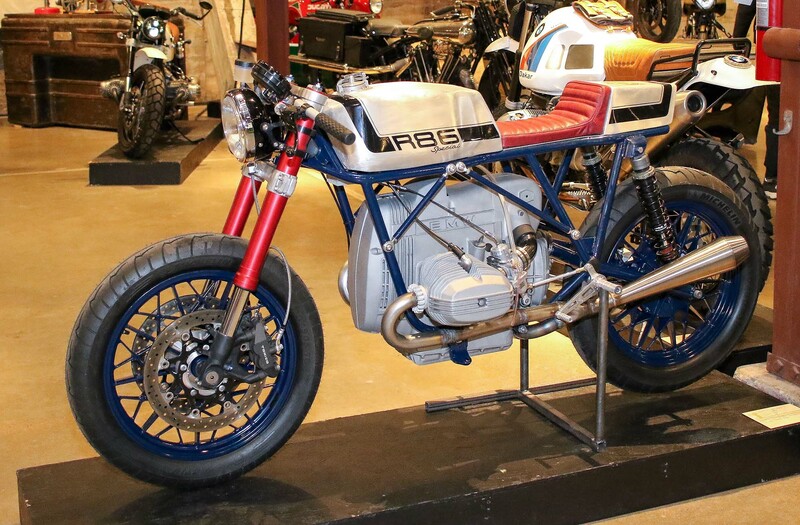 Held during the same weekend as MotoGP, the Handbuilt takes advantage of the large crowd of motorcyclists that descend on Austin for the weekend of world-class racing. 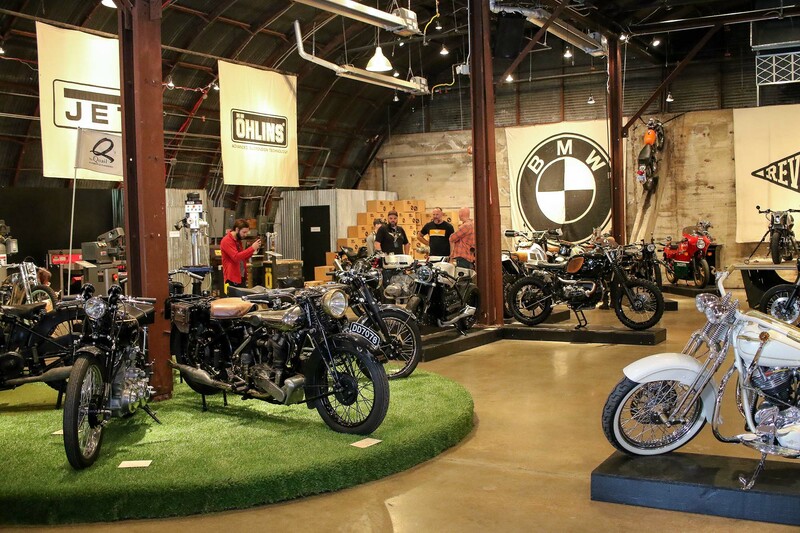 As I wandered the show, it was evident that the organizers put a lot of effort into the design and the installation. 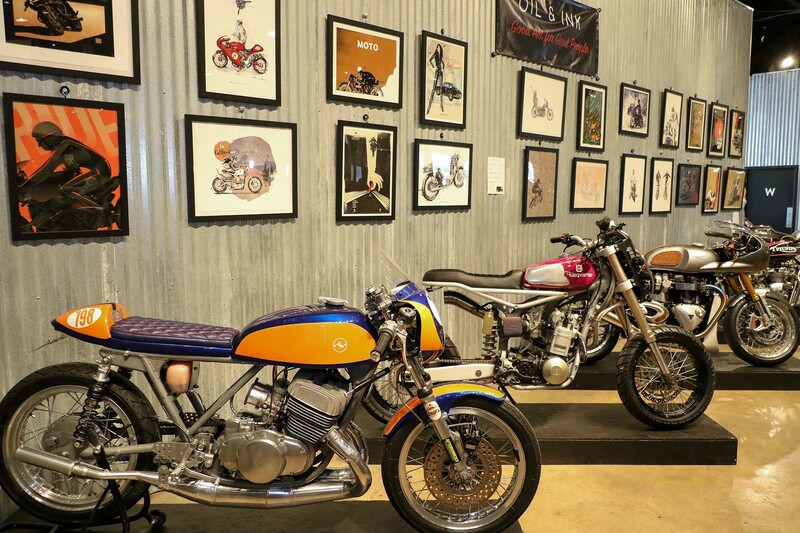 The bikes were artfully displayed, using the architectural features of the building to enhance their presentation. 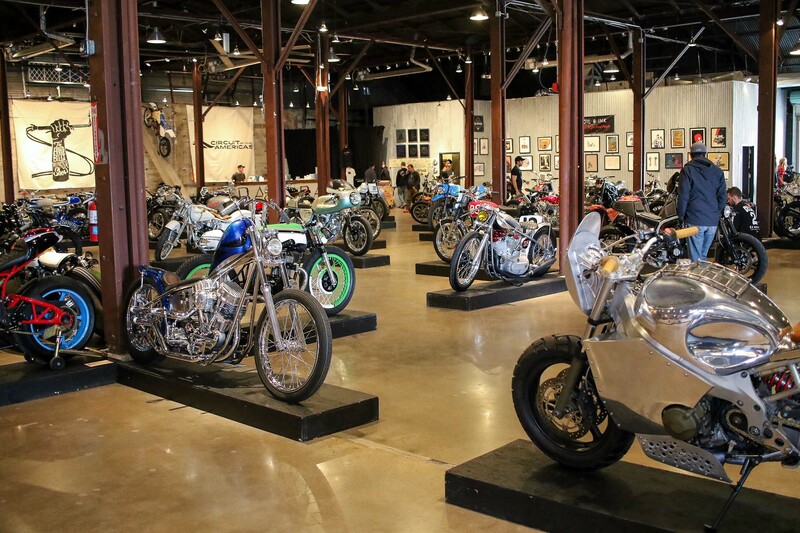 Eclectic motorcycle artwork adorned the walls, motorcycle artifacts were peppered around the display floor, and of course, there was a large counter selling a variety of show merchandise. 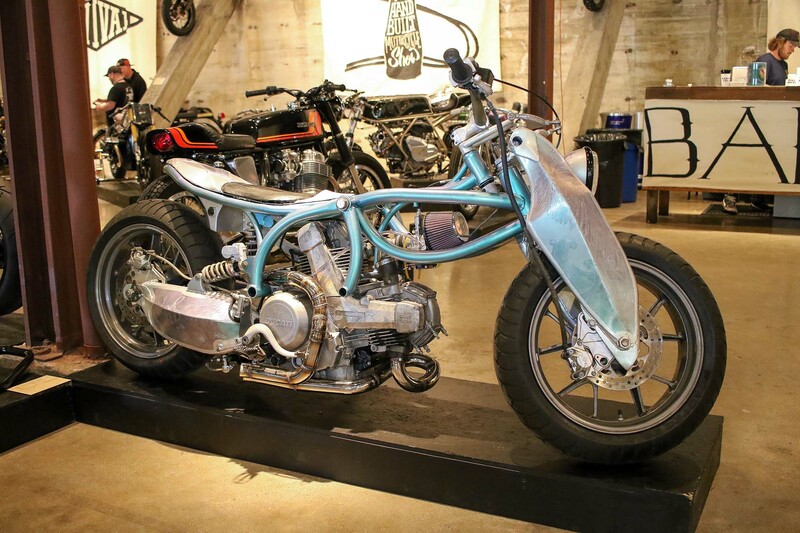 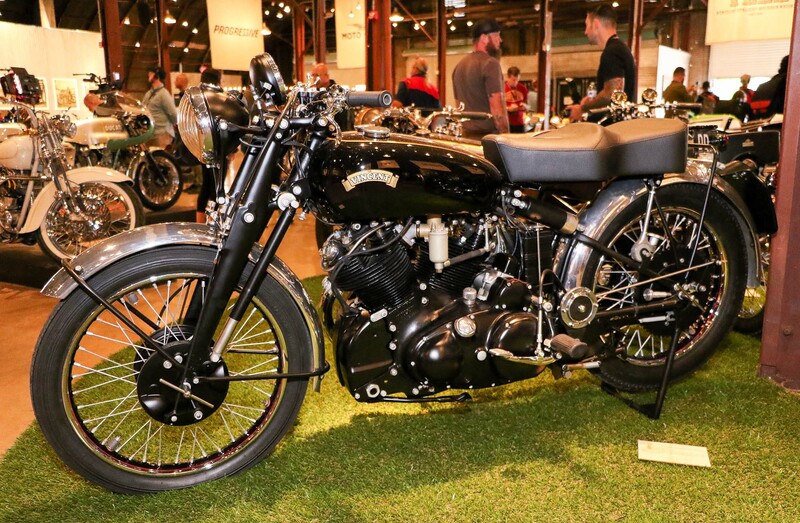 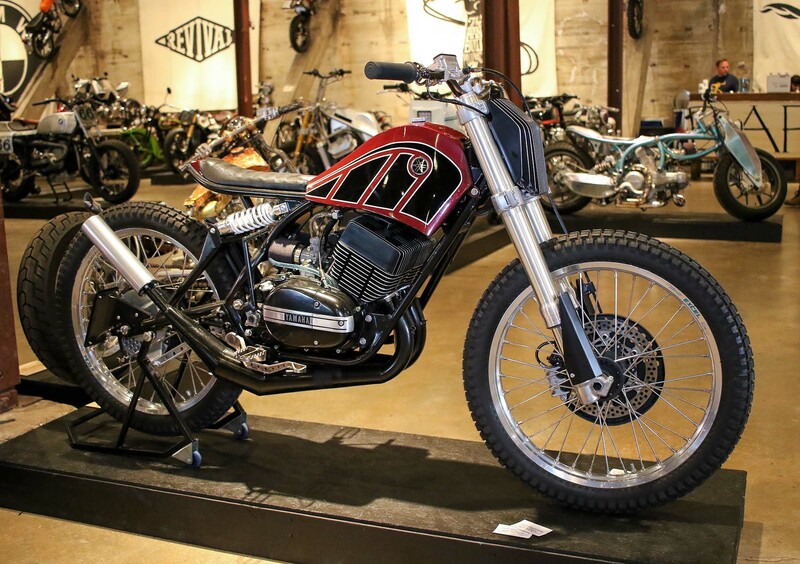 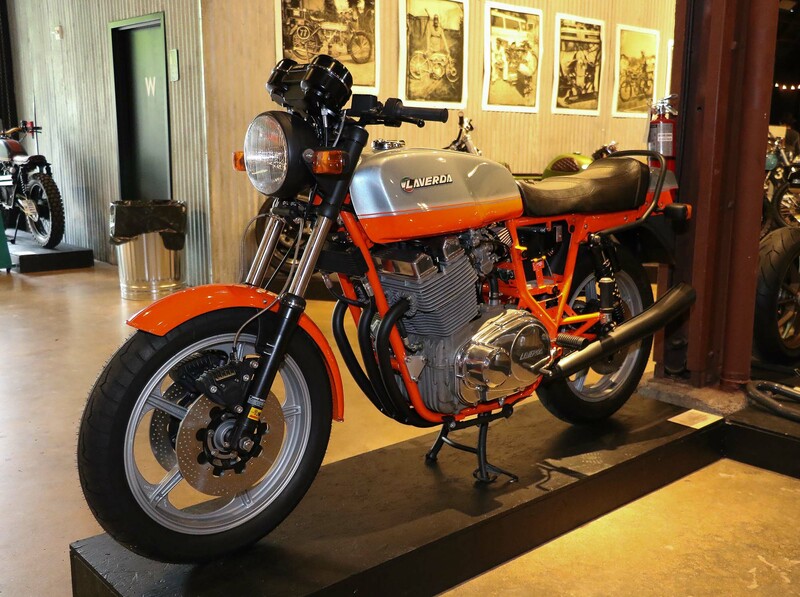 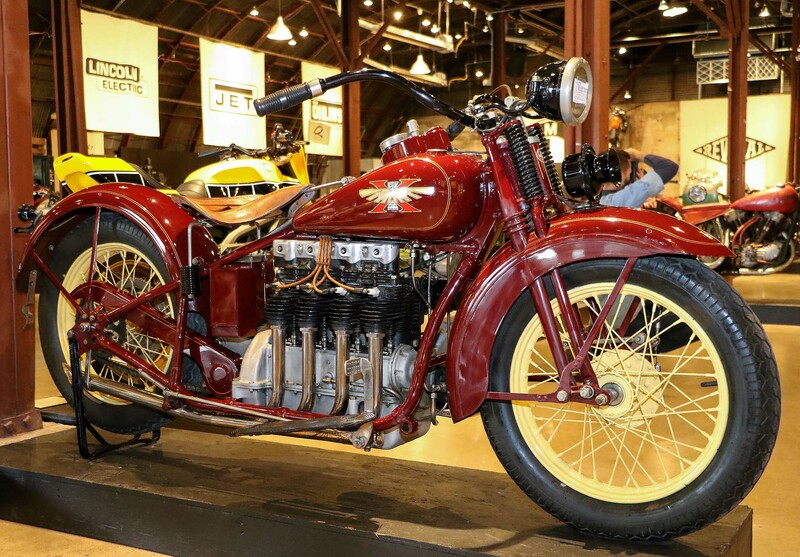 One of the great things about the Handbuilt was the variety of motorcycles on display. 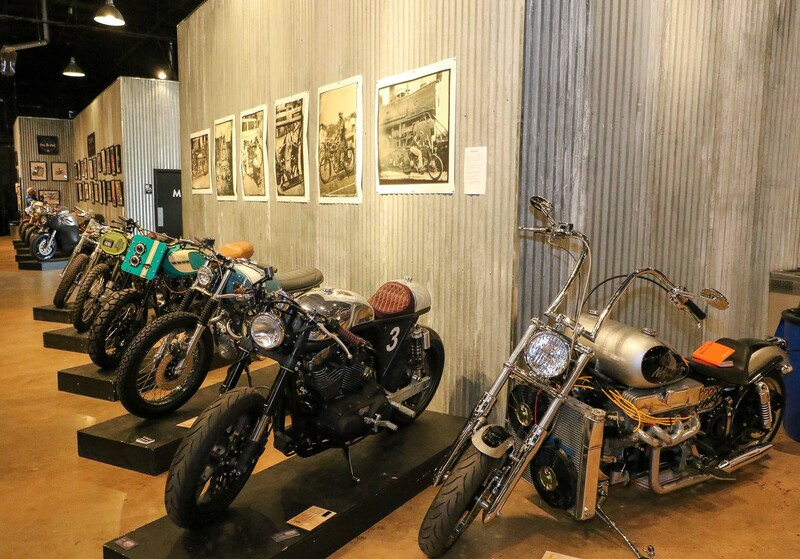 Unlike some shows that stick to one niche, this show offered something for everyone. 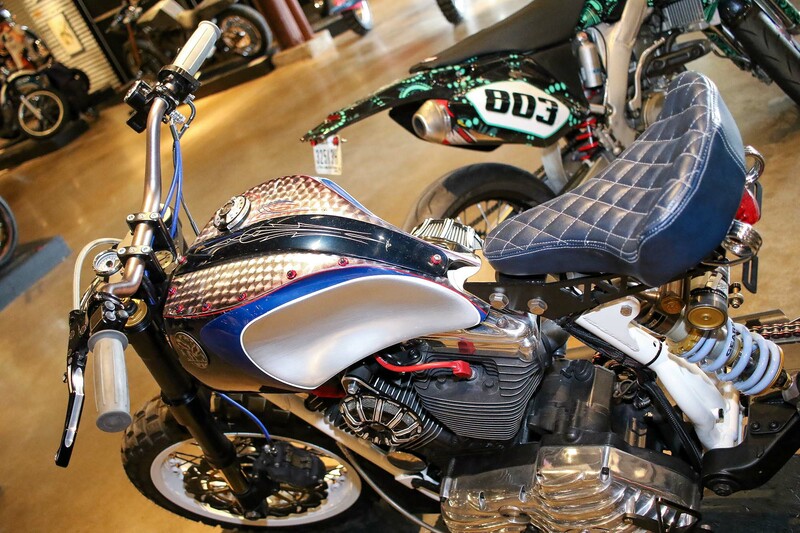 There were custom sportbikes, Scramblers, Choppers, and vintage bikes. 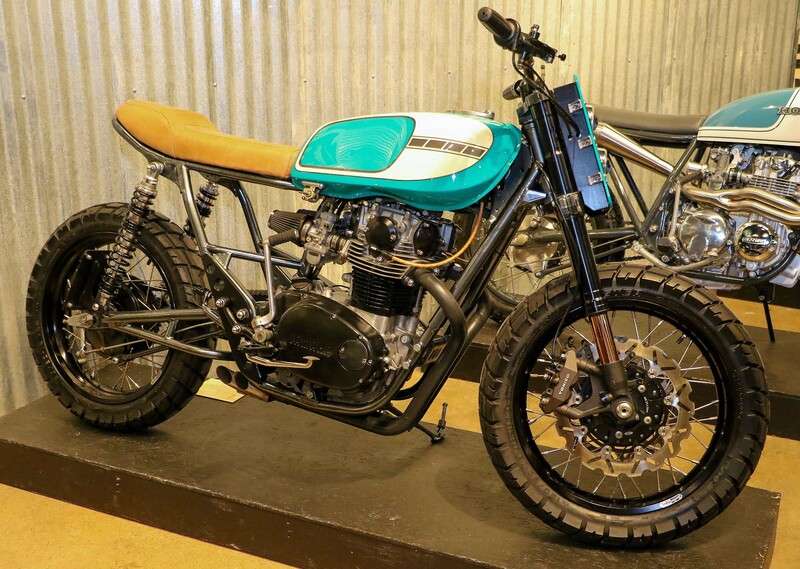 Some of the customs were from established shops, while others were built by independent, garage-based builders. 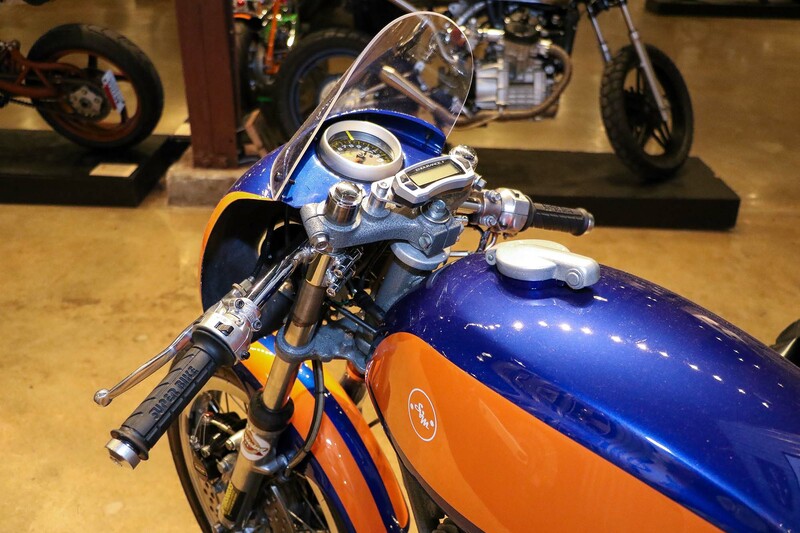 Regardless, the quality of the bikes on display was superlative. 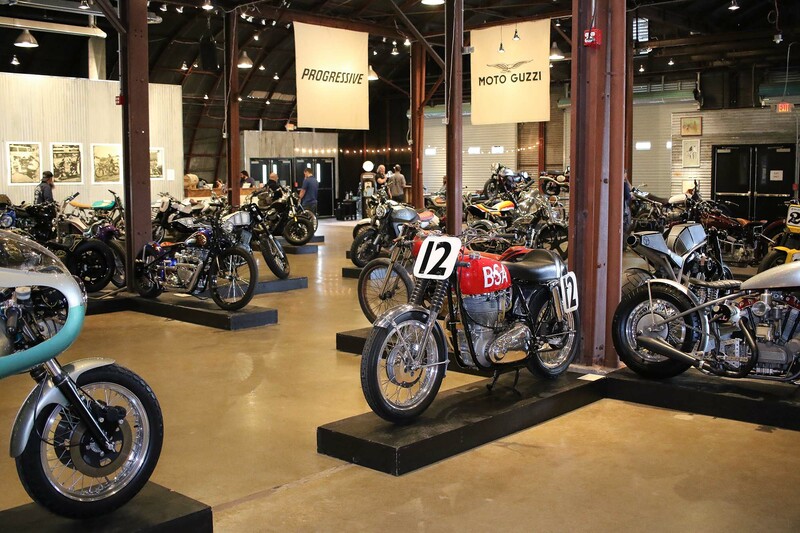 As previously mentioned, there were a number of vintage bikes at this year’s show, including a few from the Quail Motorcycle Gathering. 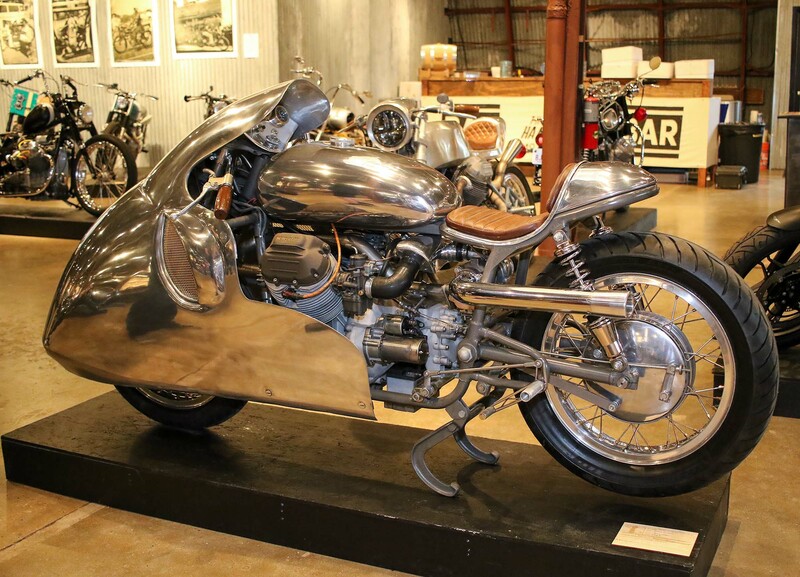 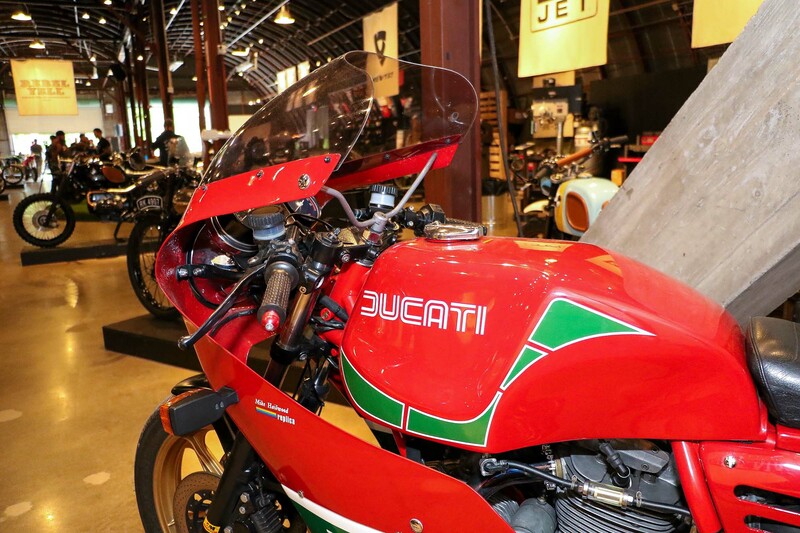 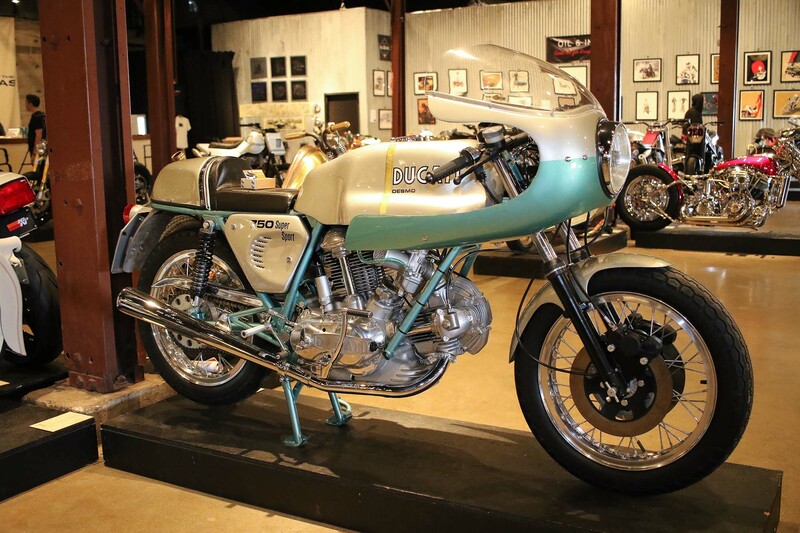 As many of you know, the Quail is a motorcycle Concours d’Elegance held annually in Carmel California. 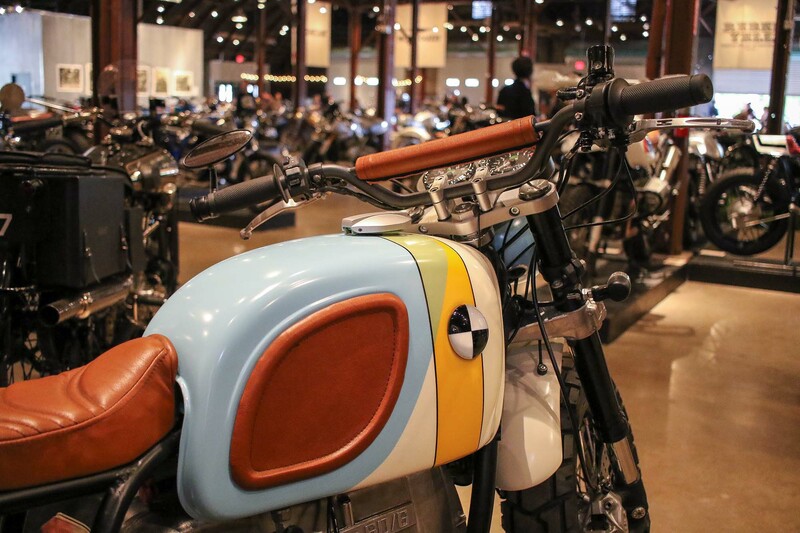 I asked Hertel about the Quail display (which included green grass, a la eighteenth green) and the tie to the Handbuilt Show. 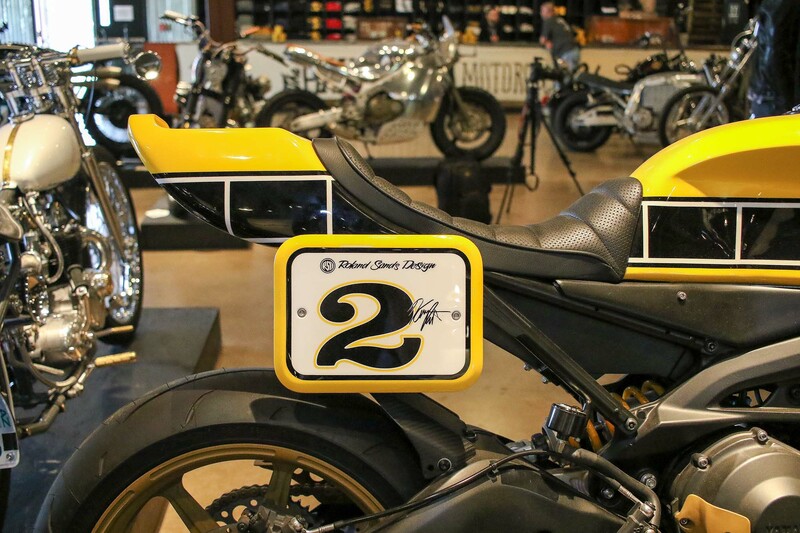 The Quail is next weekend and it will be interesting to see how this cross-marketing works out for both the new school builders and the old school collectors. 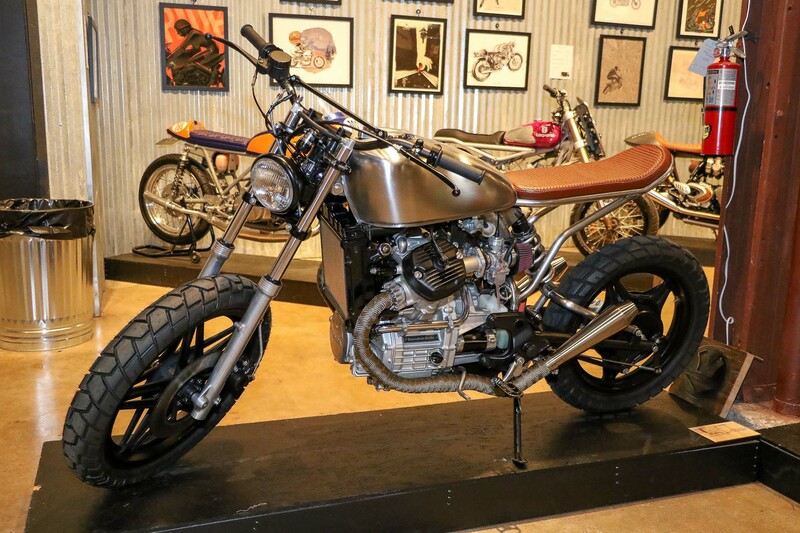 As I wandered the show, I tried to pick a favorite motorcycle. 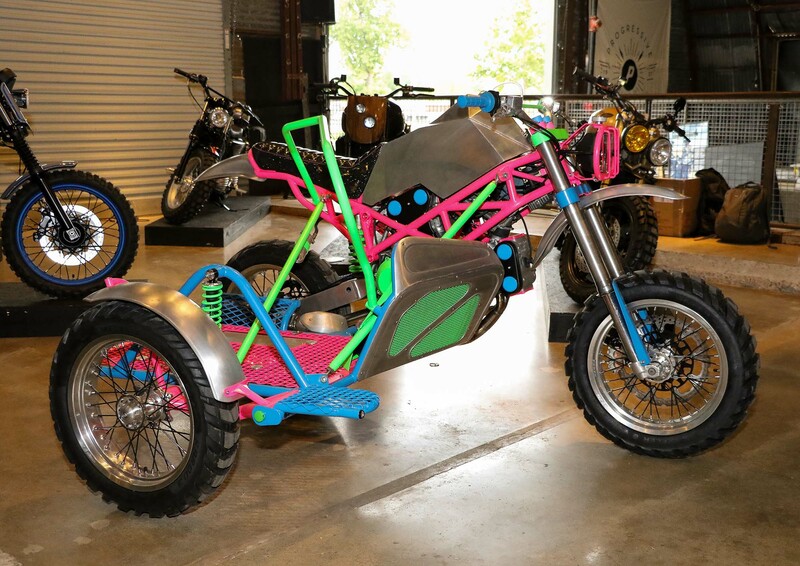 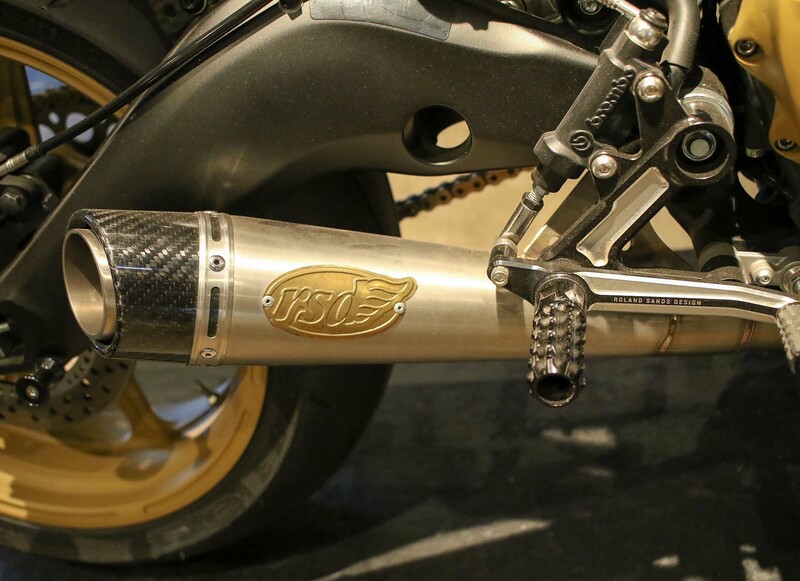 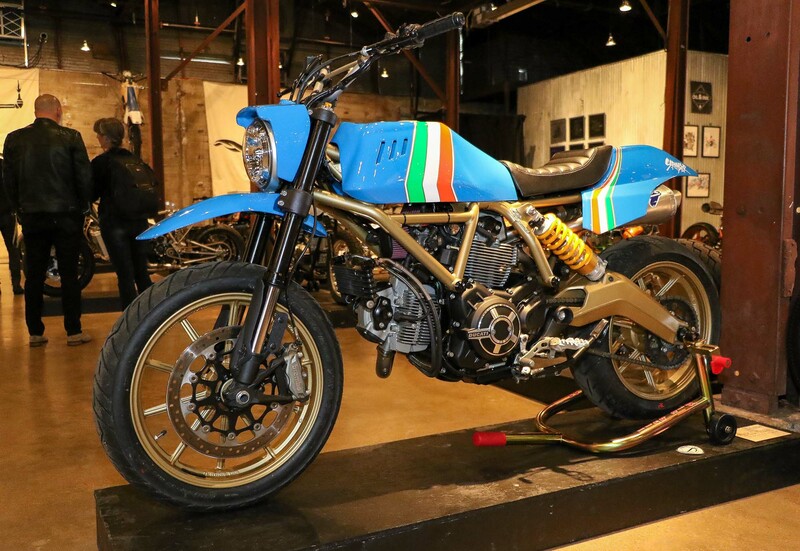 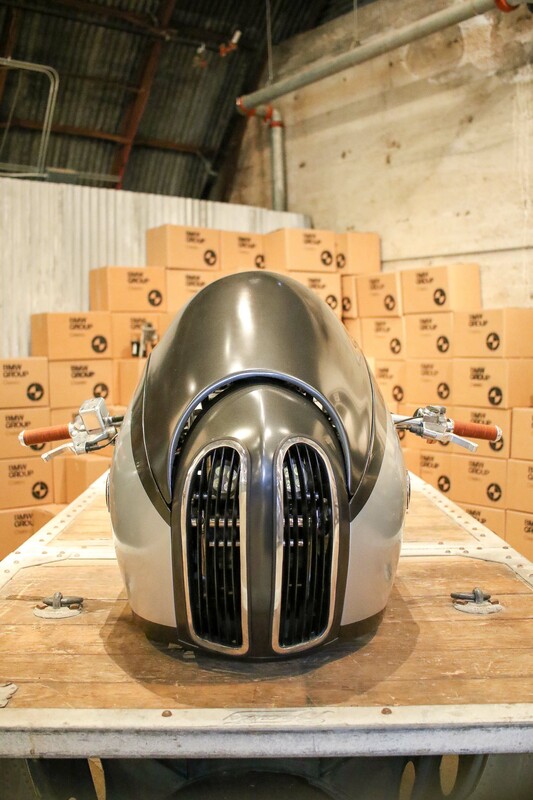 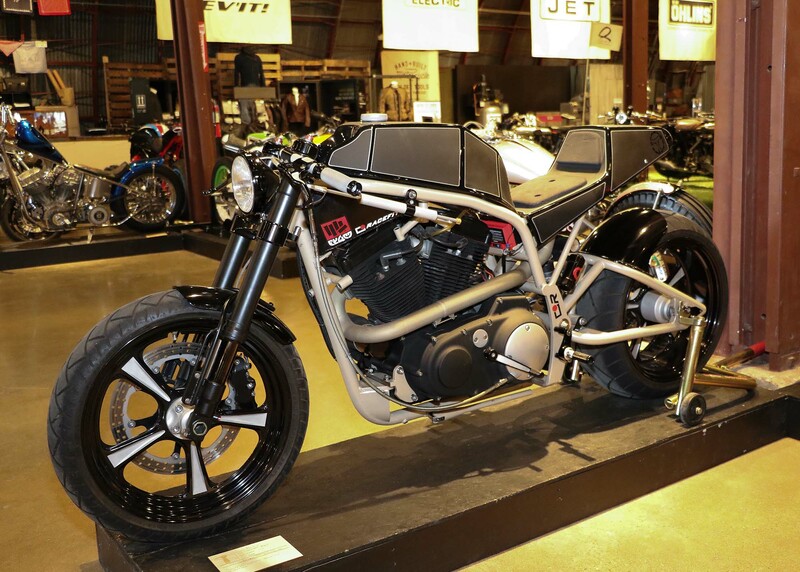 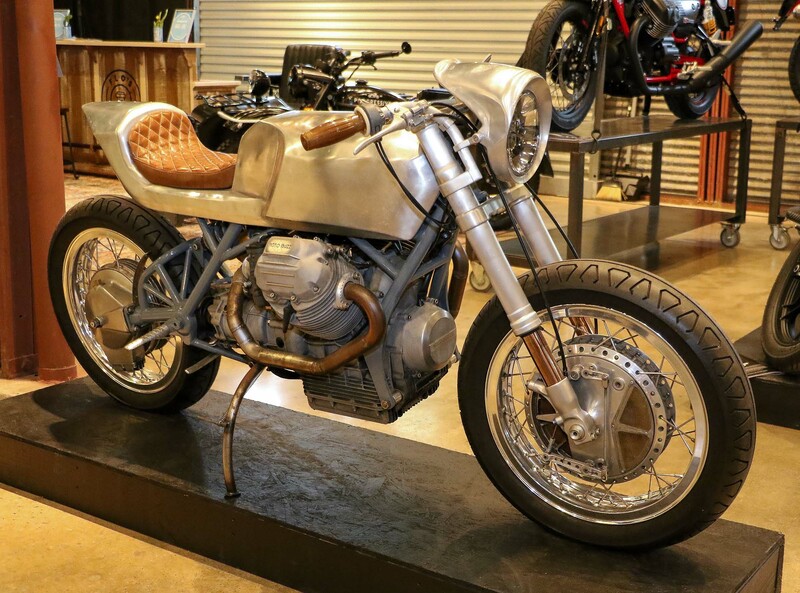 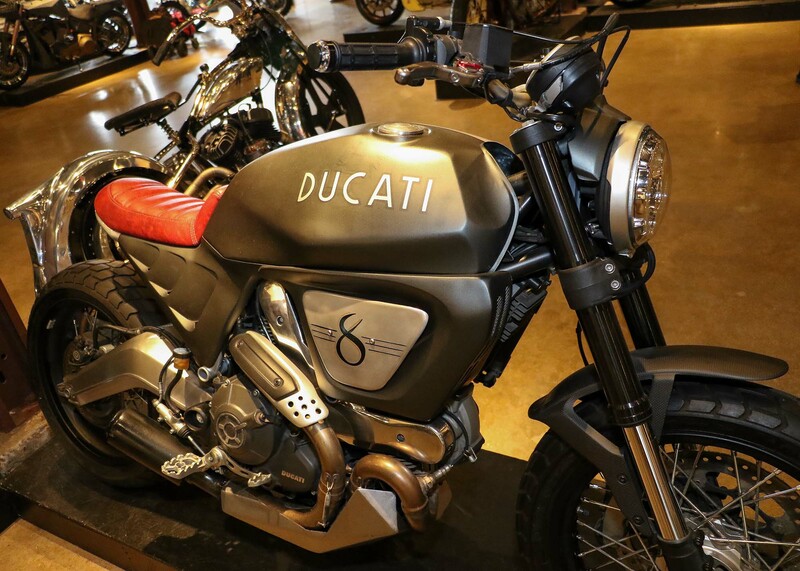 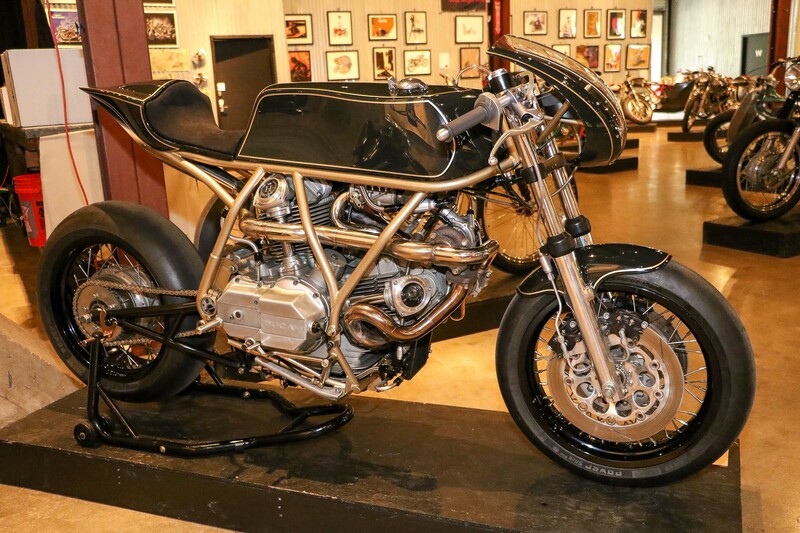 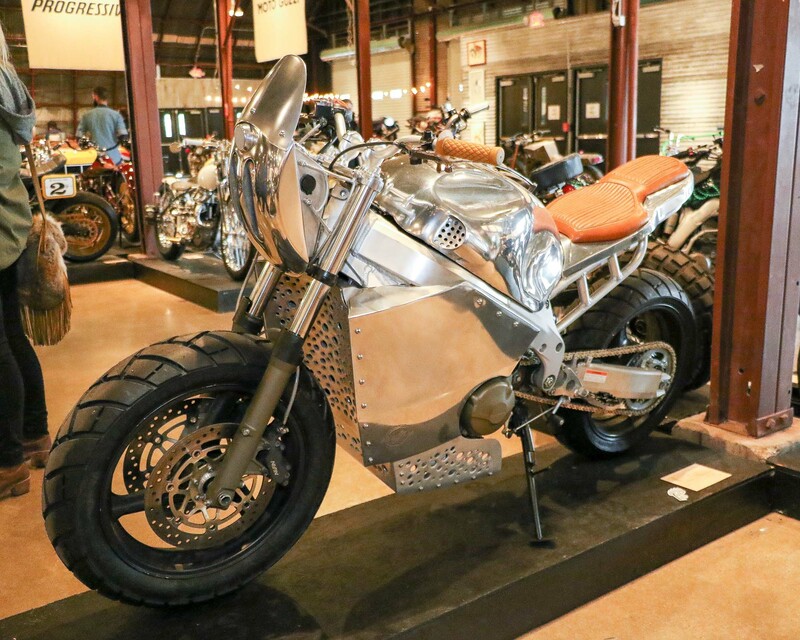 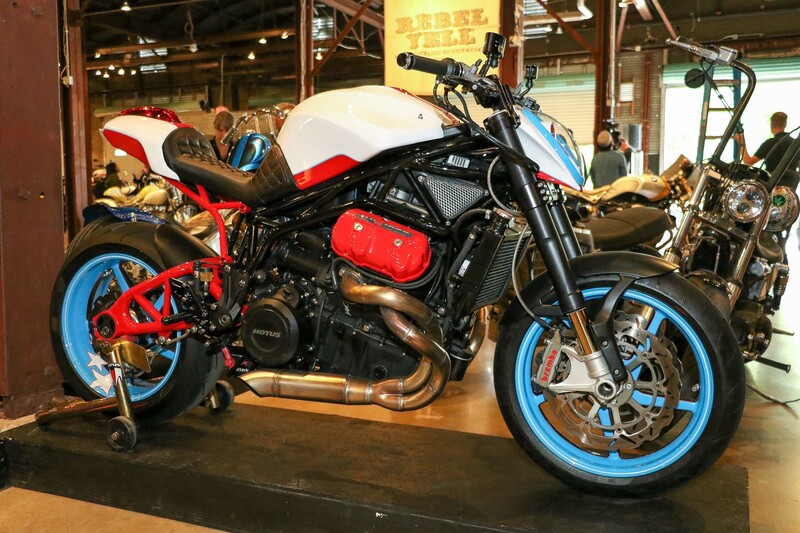 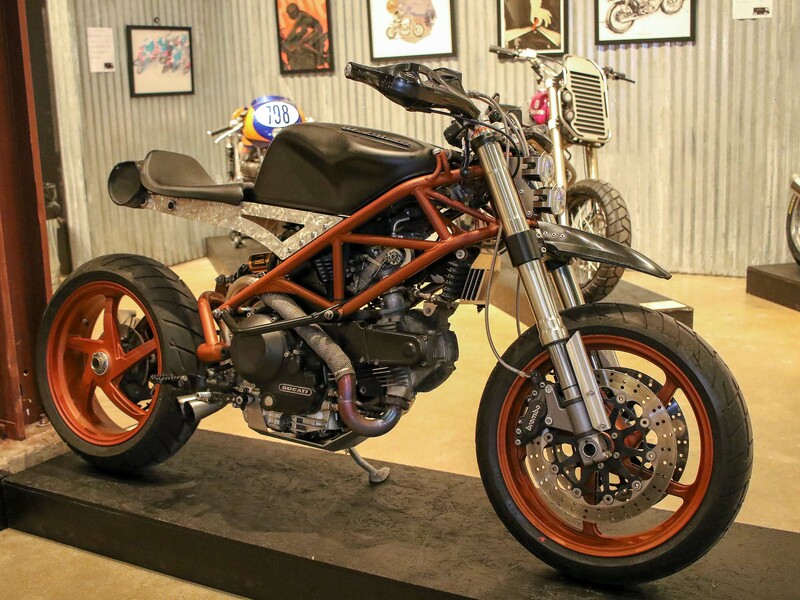 A few that stood out included Craig Rodsmith’s turbo Moto Guzzi with a hand-polished dustbin fairing, JSK Moto’s Project Cobalt Storm, and a turbo 860 Ducati by Max Hazan. 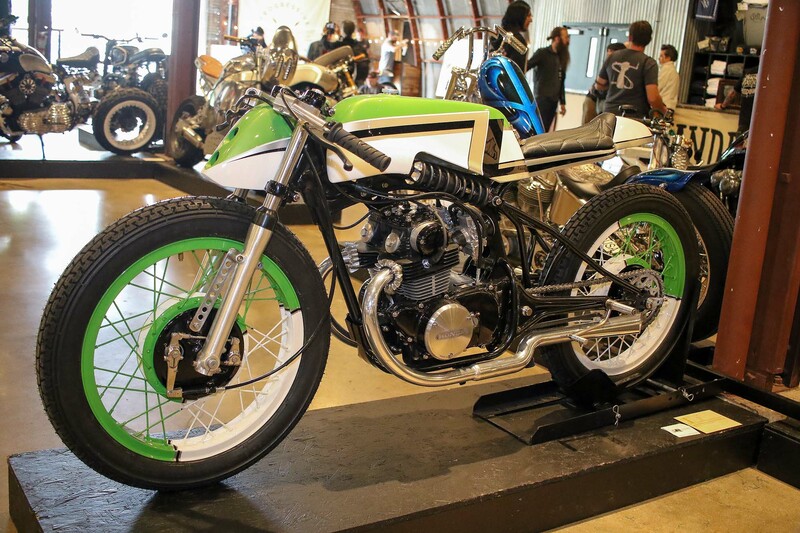 These were just a few of the many amazing bikes at the show, but honestly, I couldn’t pick just one favorite. 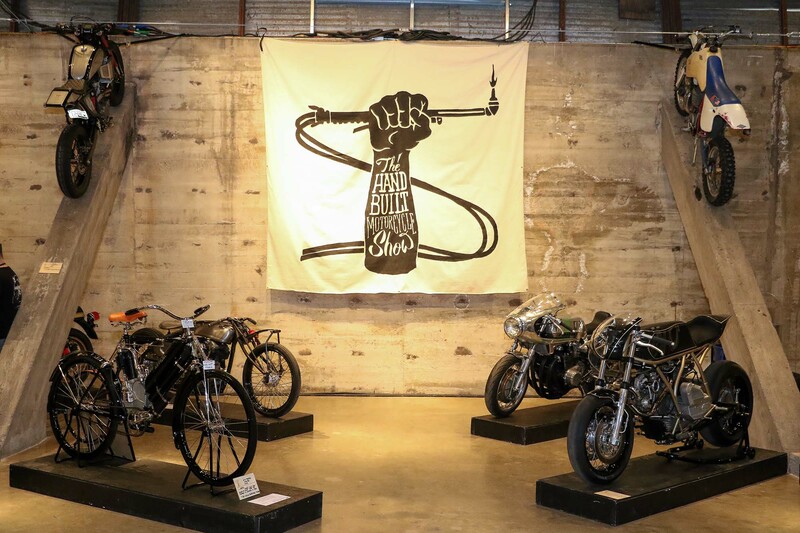 Overall, the Handbuilt Show was very enjoyable. 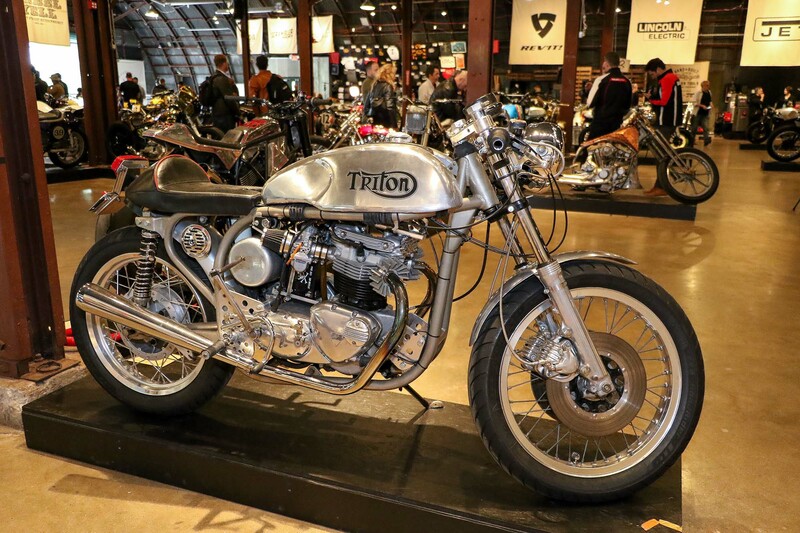 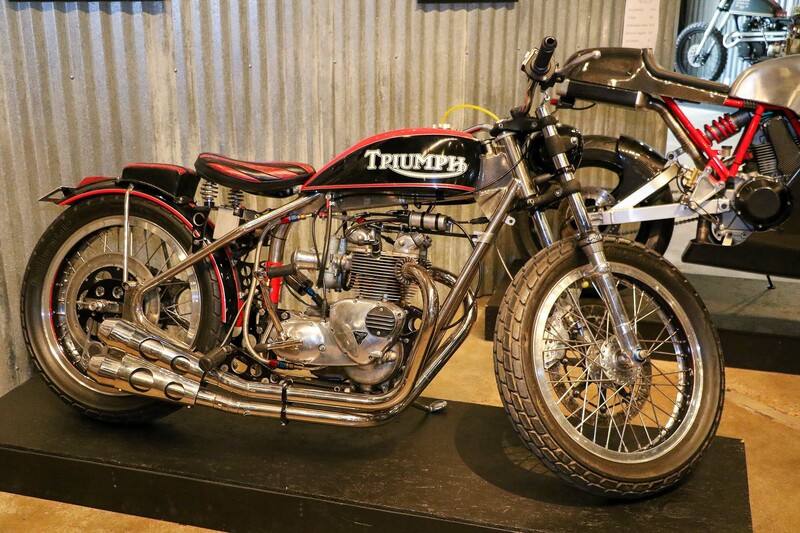 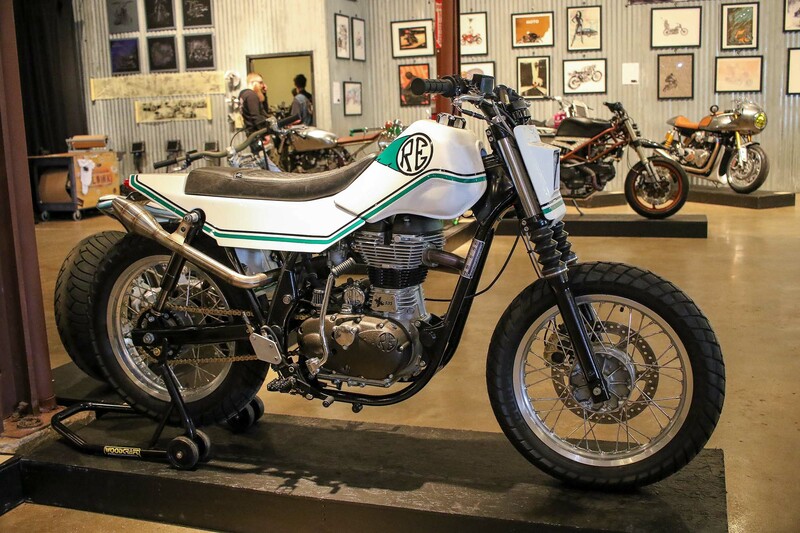 The variety and quality of motorcycles on display is seldom matched anywhere, the attendees were a lot of fun, and no one took themselves too seriously. 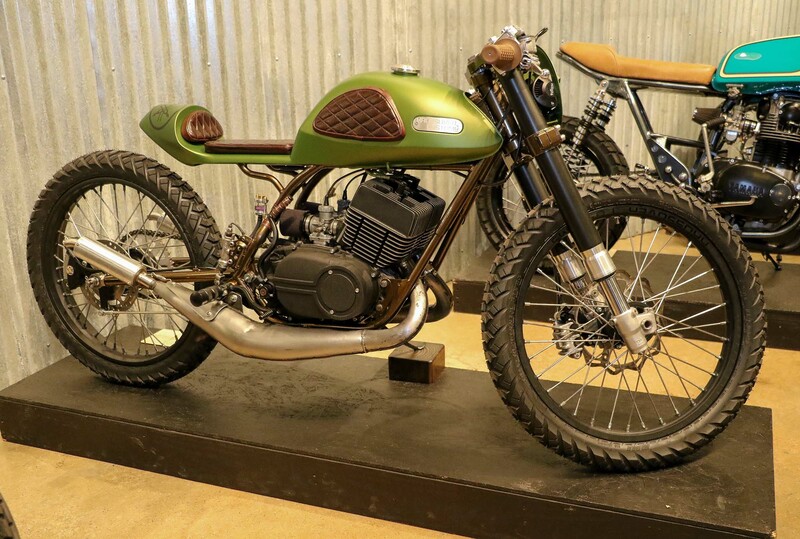 I was in town for MotoGP, but I’m very glad I made the detour to downtown Austin for the Handbuilt.